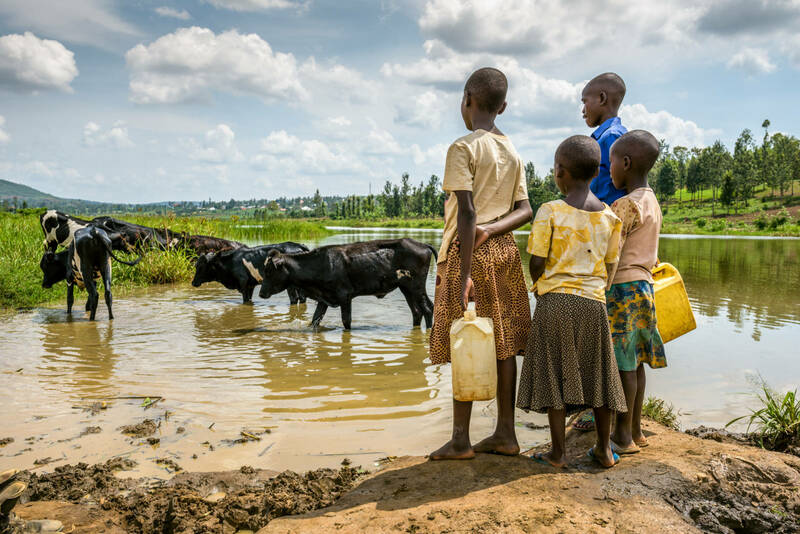 Alongside a muddy pond in Rwanda lives a family with six daughters. They differ in size, height, and personality, but they agree on one thing: They hate the pond. It is dirt-brown, bug-infested, and disgusting. 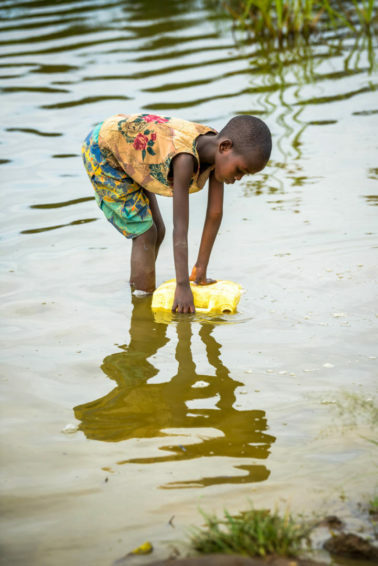 “The water stinks because of the cow dung,” says 8-year-old Esther Gisubizo. It tastes bad, too. “It’s bitter,” she says. But there’s no way around it. The pond is the family’s only source of water. Several times a day, Esther and her five sisters, ages 6 to 17, trek to the pond to collect water. They live in Gatsibo district, a two-hour drive northeast of Kigali, Rwanda’s capital. 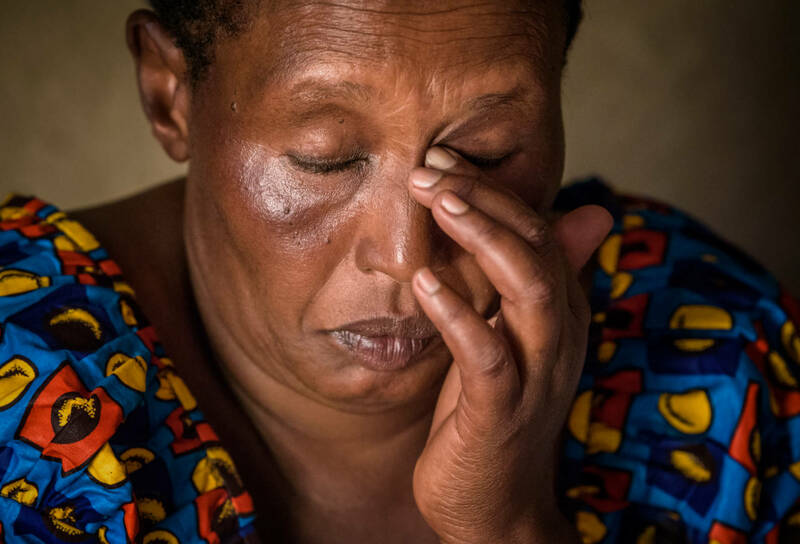 Their parents, Augustin Hakizimana, 45, and Olive Nirere, 38, moved back to the district after the genocide — Olive from refuge in Tanzania and Augustin from the Democratic Republic of the Congo where, as a soldier, he’d lost a finger and suffered a serious bullet wound to the leg. The cattle lift their shiny black heads at the sound of the mobile water tanks that come to the pond to pump water for use in mixing cement for road and other construction. The advent of electricity in some parts of the district has brought opportunity, creating even more competition for water al-ready in short supply. Of all the sisters, Esther has suffered the greatest physical distress after a bloodsucking parasite attached itself to her ankle. Esther’s father says, “She’s usually the funniest and most vigorous of my daughters.” But Esther has malaria, and her skin itches. She’s lethargic. The pond is so dirty that the girls get scabies from washing in it, and they can never truly get clean. Everyone knows she’s thinking of Julius. Julius Tugume was a star. “He was handsome and energetic,” says his aunt, Francisca Mukandamutsa. Francisca, a seamstress, adopted Julius when he was 6. His father had died as a result of HIV, and his mother, Francisca’s sister, was unable to care for him. “I took him in to give him a chance,” says Francisca. She brought him home after his father’s funeral, and the little boy thrived. “His marks were above distinction,” remembers Edward Sakure Ndahiro, the headmaster of Bihinga School, where Julius attended. “He was a genius.” The 17-year-old had just taken the national exams, scoring 82 percent — a mark so high that when the headmaster reveals it, one can hear the sharp, surprised intake of his listeners’ breath. Julius never knew his score. The test results came back after he drowned in the pond. His best friend, Desire Zigirinshuti, 17, was there when it happened. On that day in November 2017, when the boys went to the pond to collect water, Julius went out too far, dropping into one of the pond’s deep holes. “We didn’t swim, so we couldn’t save him,” says Desire. Francisca learned late on that terrible afternoon that Julius had drowned. She was devastated, as were his friends. “On his burial date,” she says, “those kids cried until their last breath.” His headmaster, Edward, still grieves. “The family lost a good boy; the school lost; the country lost,” he says. The community lost, too — a sense of security replaced by fear. Now, Olive worries for her daughters who collect water while she works. She knows she could lose them. “Whenever I remember Julius, that is what comes in my mind,” she says. Julius’s death is a distressing example of the suffering inflicted on Rwandans by dirty water. At Bihinga Health Center, Patient Munezero, 33, presides over a waiting room that’s packed on this rainy day with women and children bundled against the weather. Not drinking water is, of course, dangerous and deadly. “When people don’t have enough water for drinking, they can become dehydrated,” explains Patient. “That can even cause death.” But drinking contaminated water leads to disease. 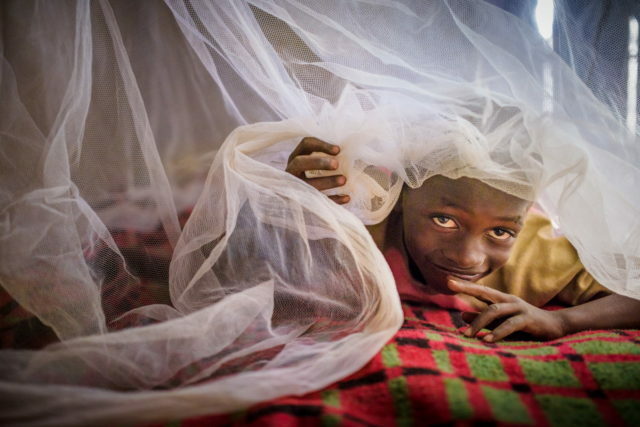 “People get sick with diarrhea, digestive disorders, typhoid, [and] intestinal worms,” he says. When that happens, she misses school. Esther was sick so much last year that she was moved back. Now she’s in first grade. Again. 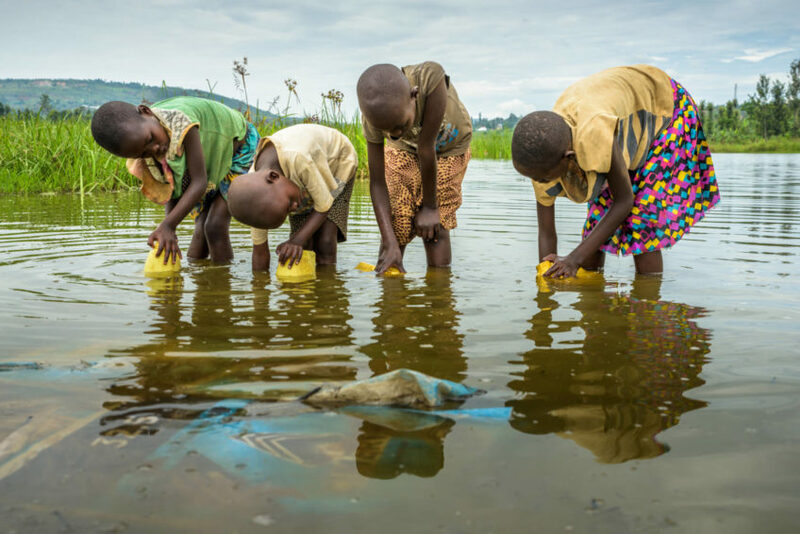 Nearly 6 million of Rwanda’s 11 million people don’t have access to safe water. 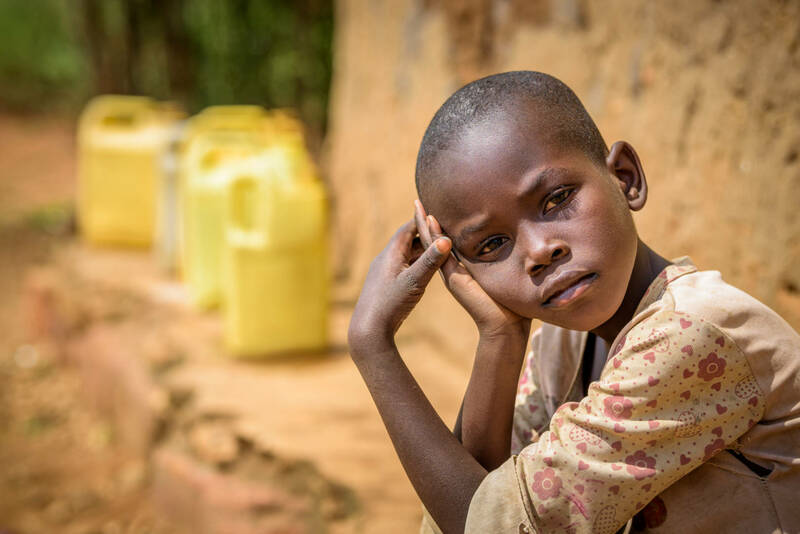 That’s why World Vision is thinking big and working with the government to bring clean water to all of Rwanda’s people — including children like Esther — by 2024. This ambitious goal is attainable. First, because of the size. Rwanda is densely populated, but small. One can drive around the country in just a day, making it easier to oversee projects and monitor progress. Second: scale. 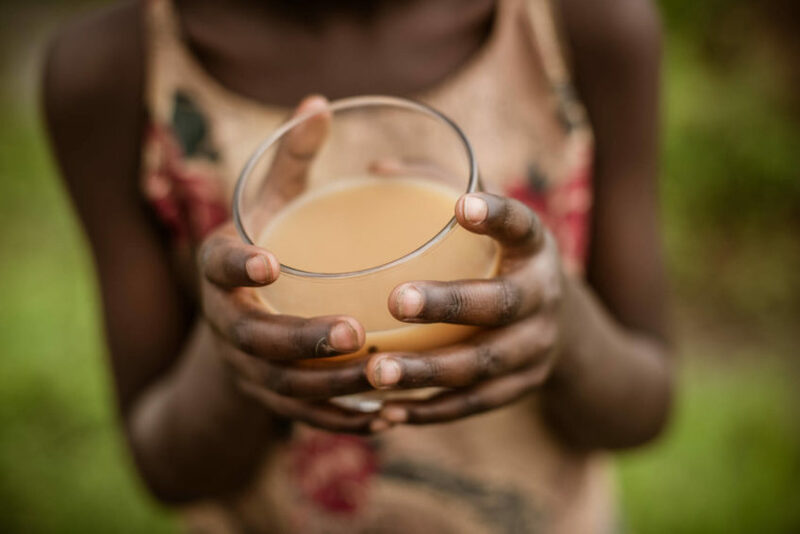 As the world’s leading nongovernmental provider of clean water, World Vision has the trust and support of the Rwandan government. And third: sustainability. 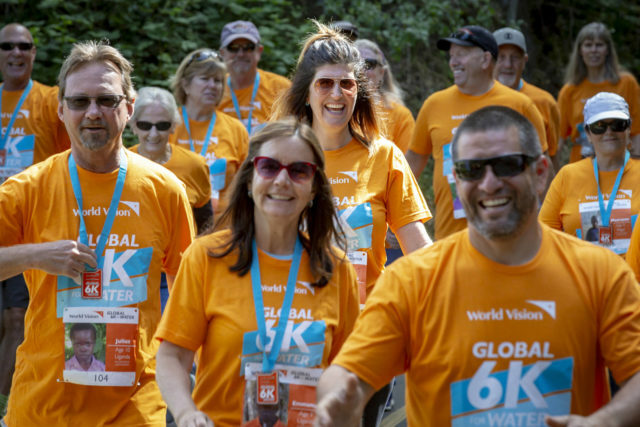 World Vision helps communities establish committees that advocate for water issues and handle operation and maintenance of water systems, so water keeps flowing. 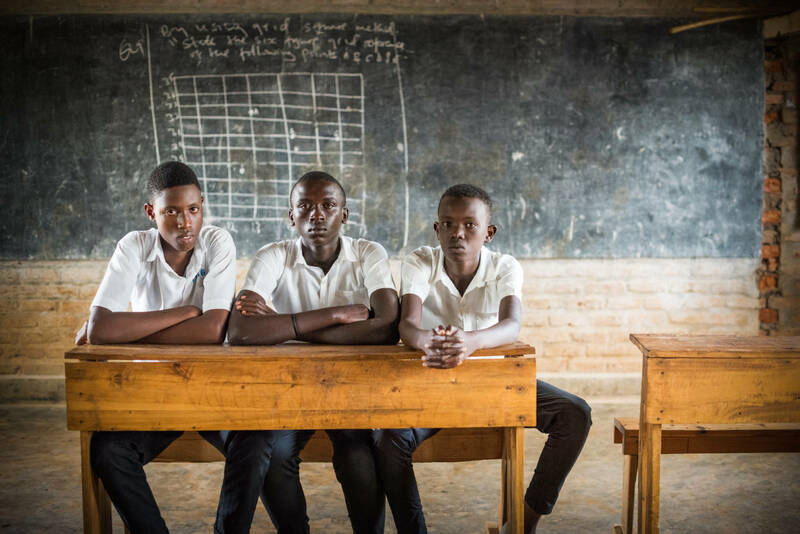 Progress has moved quickly since 2012 when World Vision started water, sanitation, and hygiene work in Rwanda, installing pipelines to serve thousands of people at a time. Already, over 300,000 more Rwandans have clean water and access to improved sanitation. Another 130,000 have installed hand-washing facilities and improved latrines as a result of World Vision’s behavior change campaigns. Julius’s aunt, Francisca, echoes Esther’s prayers for clean water. 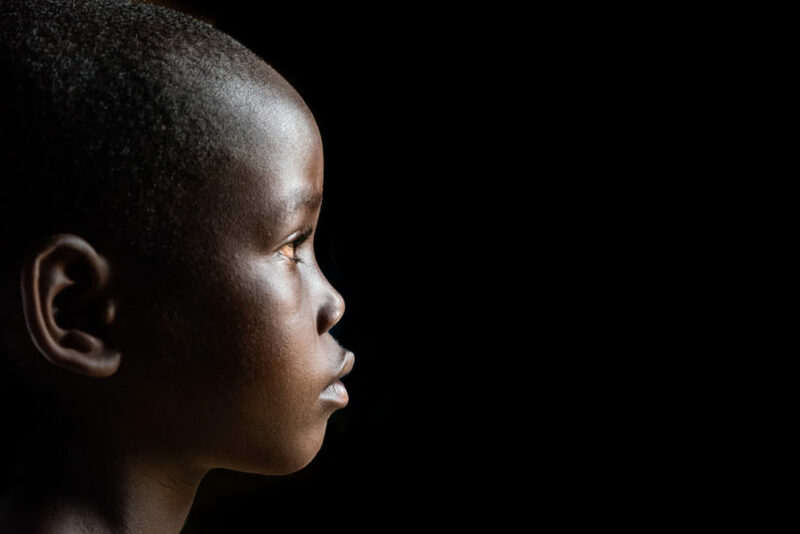 “We lost Julius, but if World Vision would do something so that another child like Julius would not die, I will praise God for that,” says Francisca. While it’s too late for Julius, it’s not too late for Esther and her sisters. And now, their need for clean water is even more pressing. Augustin and Olive recently separated after years of strife, leaving Olive to care for the girls on her own. An already challenging life just became even more difficult for the mother and her six daughters, who are fighting for survival in a house by a dirty pond in Rwanda. Join us in praying that more and more communities would have clean water access. 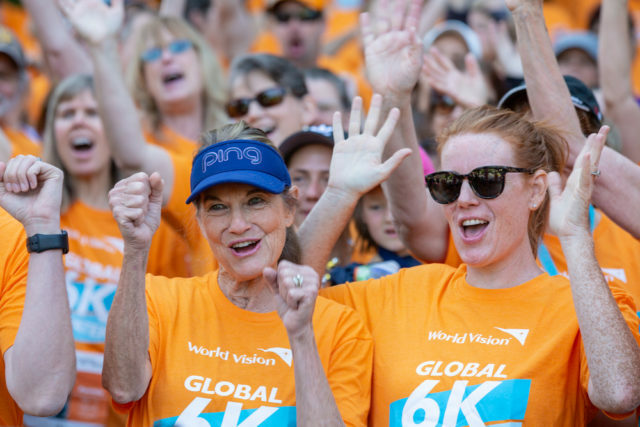 Ange Gusenga of World Vision’s staff in Rwanda and Jane Sutton-Redner of World Vision’s staff in the United States contributed to this article.